A week from tomorrow I will be running my fifth consecutive Ottawa Marathon. For me Race Weekend is an event I have come to look forward to every year. This will be the eighth consecutive year I have participated, starting off with the 5 km race the first year and moving up to the next distance each subsequent year before sticking with the marathon when I got there. 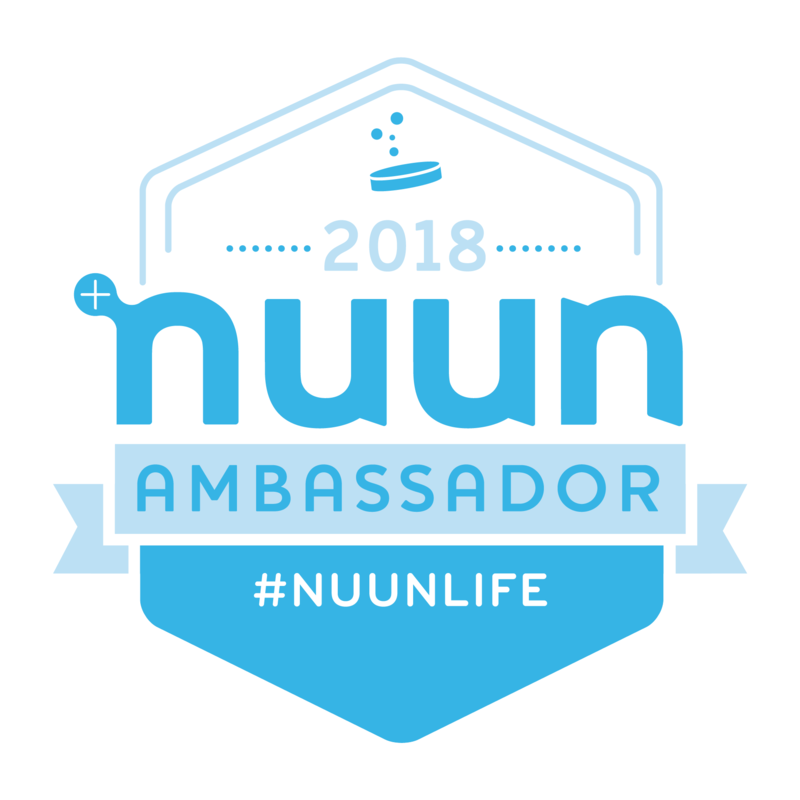 I hadn’t thought of post any kind of race guide or course overview until Kenny a fellow marathoner and blogger over at A whole lot of soles contacted me the other day to ask if I wanted to contribute to one. Since Kenny’s strategy guides for Around the Bay helped me prepare for the race as someone who had never been to Hamilton before I thought it was a great idea. Since Kenny and I both contributed to this you get the added bonus of two different perspectives. One from an out of towner who runs he course once a year and one from a local who runs parts of the course on a near daily basis. 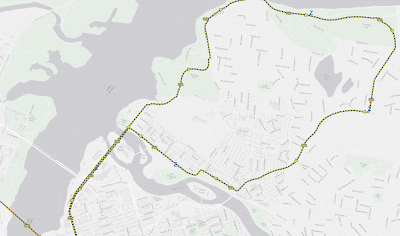 Course elevation: The course is fairly flat for much of the race, with a few inclines and declines. My elevation map shows it a pretty flat with some bumps and rises. 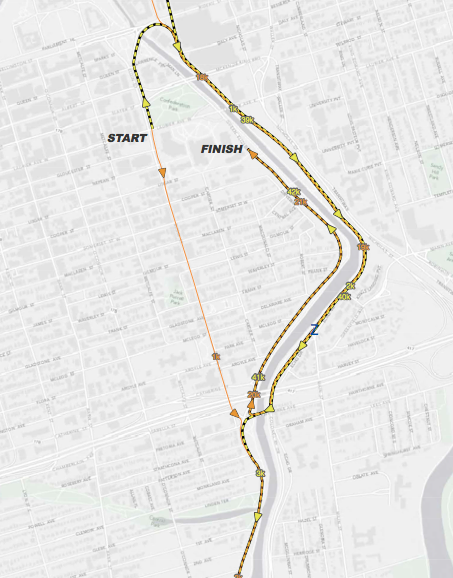 Weather: With a start time of 7 a.m., the race will end for the majority of marathoners between 10:30 a.m. and Noon. I’ve look back at last year’s hour by hour for the marathon, and we went from 15C at 7 a.m. to 22C at noon. In 2011, it went from 16C to 18C with very high humidity. These are beautiful day for walking but it got warm for us at the end. We had cloud cover for about half of the race. The sun beats down and it can get humid. Easy or hard? The biggest factors that impact runners on race day is the course they run and the weather it’s run in. The course is conducive to good times. I like courses that are flat but with variance — some hills throughout the course help stress other muscles. The weather as I said above is a big factor. Most of us think ideal racing conditions start off as “shivering” and ends at cool. In degrees that’s 6-8C warming to 14C. An Ottawa race starts off at 14-15C is already at the edge of warm, particularly for most of us who have trained through a winter and not yet acclimated to the warmer temps. Gear: This is pre-summer racing, so I’d advise singlets, shorts and sunscreen with a hat and sunglasses. A throwaway shirt if you don’t like milling about at the start at 12-14C. I highly recommend anyone who runs with water belts do to so. There are water stations but late in the game you will probably want water at call rather than to wait for the next station. Pat: This first half km of the course can be crowded so don’t panic if you can’t settle into your intended pace right away. 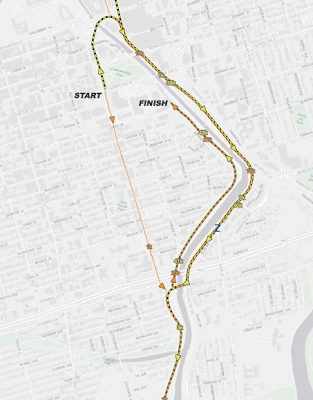 There will be big crowds to watch the start but the crowds will thin out as you make your way on to Colonel By Dr. to run along the Canal. 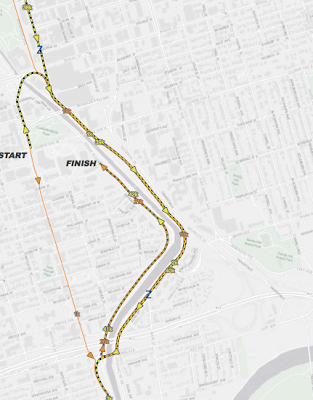 The course follows the Rideau Canal for the first 6-6.5 km. This part of the course is flat. If you weren’t able to settle into your goal pace off during your first km now’s your chance to settle into a groove. Just before 3 km you will cross the Pretoria Bridge for the time during the race, you will also cross this bridge on your way to the finish line. Kenny: There are more than 4,000 runners in this field and the organizers thankfully do not mix the marathon and the much larger half. They had pace bunnies throughout (I ended up following the 3:40 last year) but I’d recommend following your own flow as any first kilometre of a marathon is chaotic. I really enjoyed the first five. 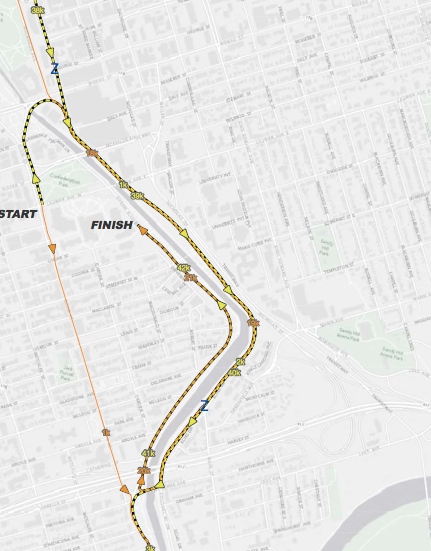 It was cool enough, the sun rising and aside from a big right turn at the start, it was a nice curvy course. 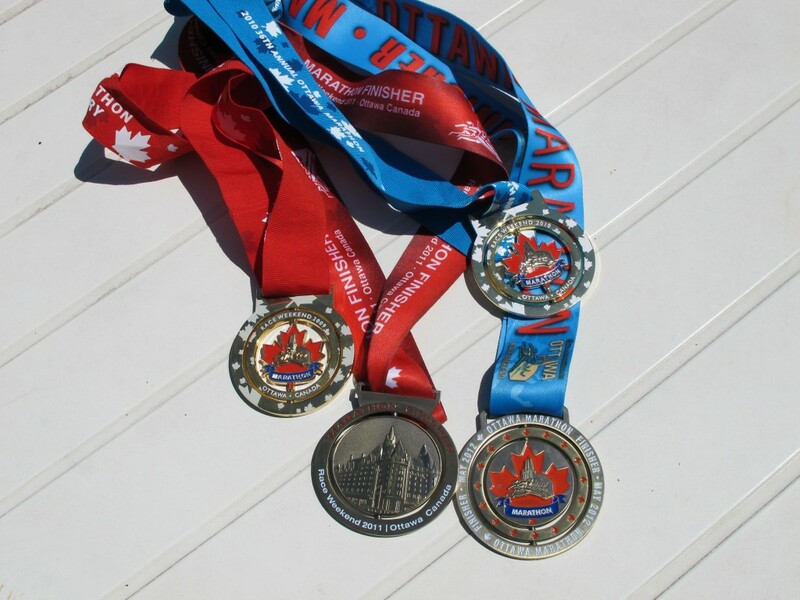 Unlike any other marathon I’ve run in Canada, this actually felt like a big-city marathon. I do remember some areas being a little cramped with pace groups (the run/walks v. the continuous) playing some sort of hop scotch. 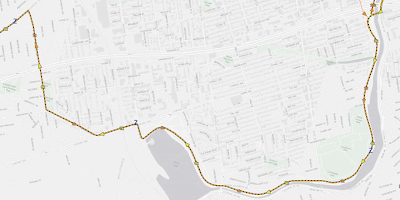 Pat: Around 6 km you will encounter the first incline of the course. It is not much of a hill but you will notice it because the course has been flat up until this point. From the Canal the course heads to Hintonburg. This area was a new addition to the course two years ago and in my opinion was a great addition. It is one of the better areas of the course for crowd support. Just before 9 km as you make a left turn on to Wellington St and you will appreciate the return of the sounds of music and cheering crowds. This can give you a boost after a quiet run along the Canal. The course continues down Wellington St into Westboro, one of Ottawa’s trendier neighbourhoods. Pat: I have a bit of a love hate relationship with this part of the course. Once you get to the Parkway it is scenic but since there isn’t anything around crowd support is minimal at this point. 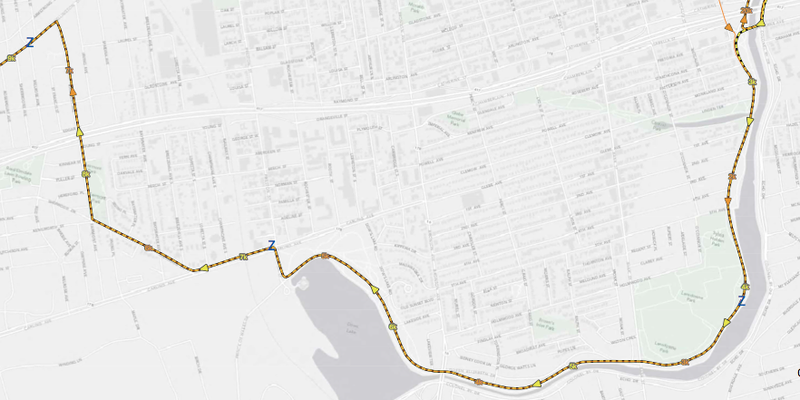 Around 18 km you will hit what might be the biggest incline along the course. Again it is not a very big hill but you will notice it because the course has been pretty flat up until this point. Kenny: I do like this part of the course because for me, I was starting to get my game face on. 14K in, you really separate into the pace group and I found seeing the runners heading back on the Parkway a great view of how many runners were doing this race. Out/backs are not easy to put in races, they tend to feel like piling on the miles as opposed to letting you tour through the city. From a scenic point of view, it was absolutely gorgeous running toward 18-19K mark, where you see the Parliament buildings in the distance, and pass the War Museum (which I visited a few weeks ago). I think you get reminded here that hey, you’re in the nation’s capital and you’re running one of the premier races in the country. Pat: This isn’t the most scenic part of the course. It is known primarily for a series of rolling hills. You hit the halfway point as you go up the first of those hills. Just before 26 km it is time to head back across the Ottawa River via the Alexandra Bridge. There is a slight incline as you go on to the bridge. Once on the bridge enjoy the view of Parliament Hill, one of the best views in the city. 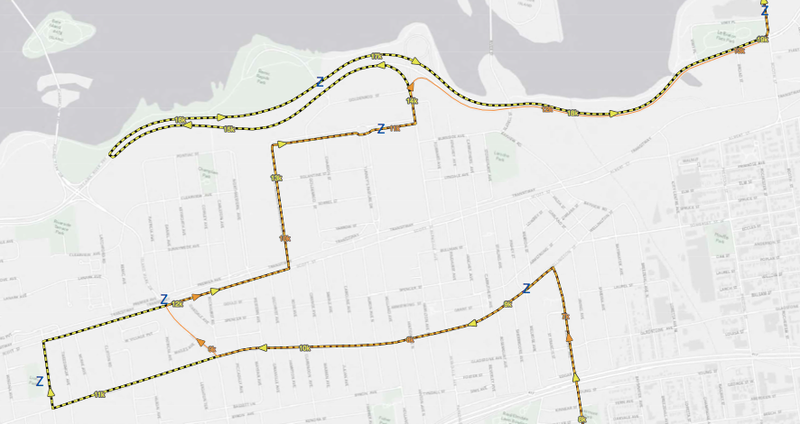 Kenny: Both my memory and the elevation overview remembers the rolling hills in Gatineau. You pass a series of bridges on the way into Quebec and be prepared to work through the residential and more business part of Gatineau. Looking back, it was a part of the course, I wanted to work hard and get through. Like Pat said, the bridge from Gatineau back to Ottawa is pretty awesome, and if you’re a Canadian, you can’t help but swell with pride seeing your Parliament in the mid-morning. 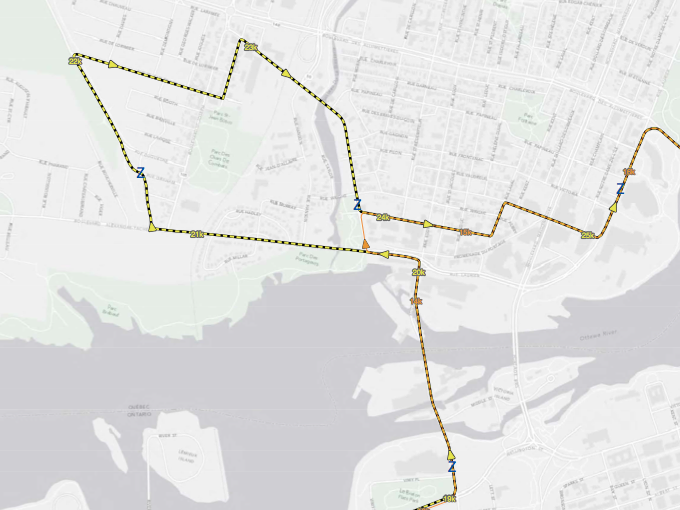 Pat: You will run down Sussex Dr. twice during the race. 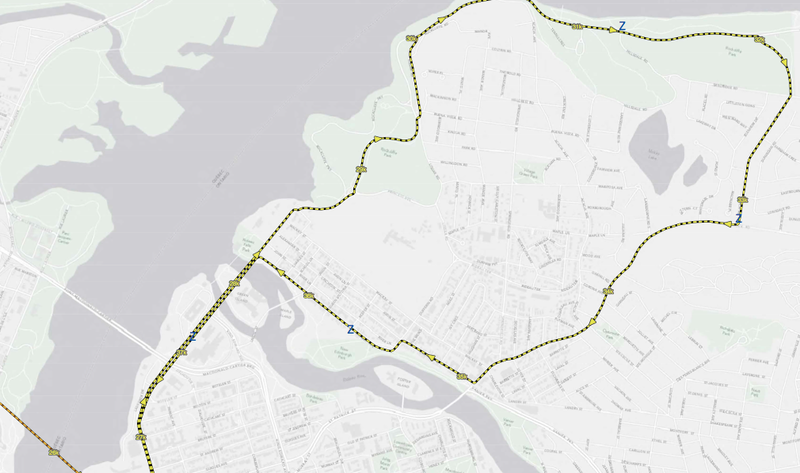 Between 28 km and 29 km you will run by 24 Sussex, home of the Prime Minister, on your left and Rideau Hall, home of the Governor General, on your right. Around 30 km you will enjoy a lengthy downhill section. Let gravity takes its course here and allow yourself to recover a bit. Kenny: Unlike the White House in DC, the Prime Minister’s residence at 24 Sussex isn’t really an awe inspiring sight — but by this time, you’re already working hard. Do pay attention to your pace — for some reason, my pace bunny decided around this time that he wanted to start banking, and went way faster than planned. I should have slowed down, even with the hilly portions. My view of this area is your dangers are 1) the hills 2) pace creep and 3) the weather. Weather, especially if sunny, can make an impact on how you’re feeling. Take in the water at the stations. 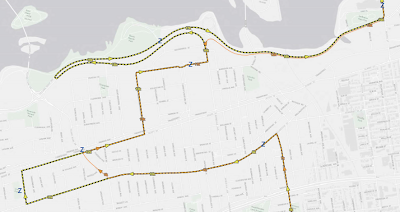 Pat: This neighbourhood is fairly quiet until you get between 35-36 km where there is a well supported aid station. The energy here will give you a well needed boost, especially if you are starting to hit the wall. If you are feeling good this is a good point to start thinking of making a strong push to the finish line. Kenny: I really liked this area as it was residential – a little shade if I recall correctly. It’s a good time to remember to take your final gel/fuel and bear down for the march back home. Pat: Between 36 and 37 km you’ll turn left back on to Sussex. You will see the slower runners on the other side of the road headed down Sussex for the first time. You will probably also be feeling the heat at this point. Around 37 km there is a final incline as you pass in front of the Pearson Building, the big red/brown brick building that is home to the Department of Foreign Affairs and International Trade. Kenny: You rejoin the course where you last saw it at 28K mark, so yes, you’re running on similar ground. Use the other side (seeing the other runners) as a boost but don’t let it get you down. 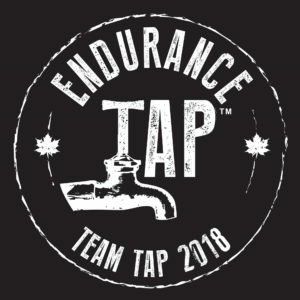 The sun can be out in full force so it’s important you do what you need to do to fight through the final kilometres while taking in your water. I’m never a fan of races that end up on quiet stretches like this (for fan support) but most races except for Boston/NYC are like this. I think it was here last year where I let my too-fast pace group leader go ahead of me. Pat: If you are hurting you will get one final boost as there will be large crowds lining the rest of the course. If you have not made your final push to the finish line before you reach the Pretoria Bridge for the second time now is the time to do it. You have just over 1 km to go. After following a corner to the left in front of the German Embassy the finish line comes into view. Kenny: You’re going to rejoin the canal, and it’s nice to see the finish line. Except you’re not going to cross it for awhile. Damned out and backs! Fan support is great here so soak it in, try to keep cool. You’ll be making a turn and then running a tree-lined area to the end. There may be half marathoners still finishing up so to keep that in mind when pacing with other runners. Thanks to Kenny for the offer to participate in putting this together. Don’t forget to visit his blog while you are at it. 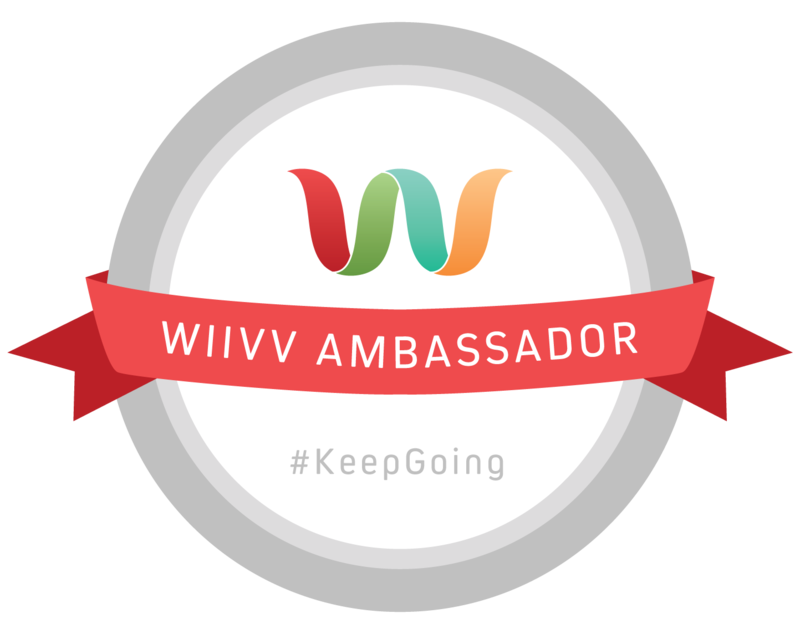 If you have any questions or comments don’t hesitate to leave them on either blog or come find us on Twitter!